Our customers extend a measure of trust by putting their beloved horses in our care. Our goal is stress-free living for all. Over the past 20+ years we have built a reputation for providing the most thorough and highest quality care for our customers' horses. 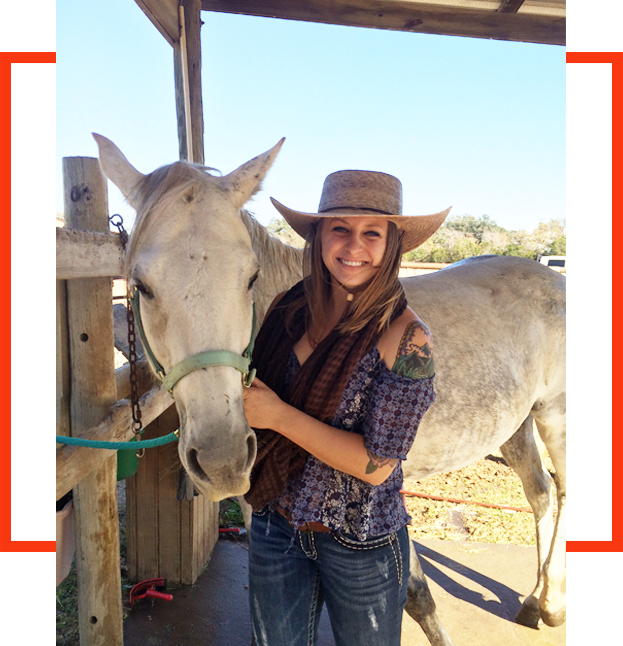 At Austin Stables providing knowledgeable, personalized care is our standard. Owners here vary in riding disciplines and interests and are a wonderful group of welcoming, thoughtful unpretentious and delightful horse lovers. We prioritize the lowest possible stress level for horses and owners. Board with us and you'll break the habit of worrying about your horse. Barn Care. 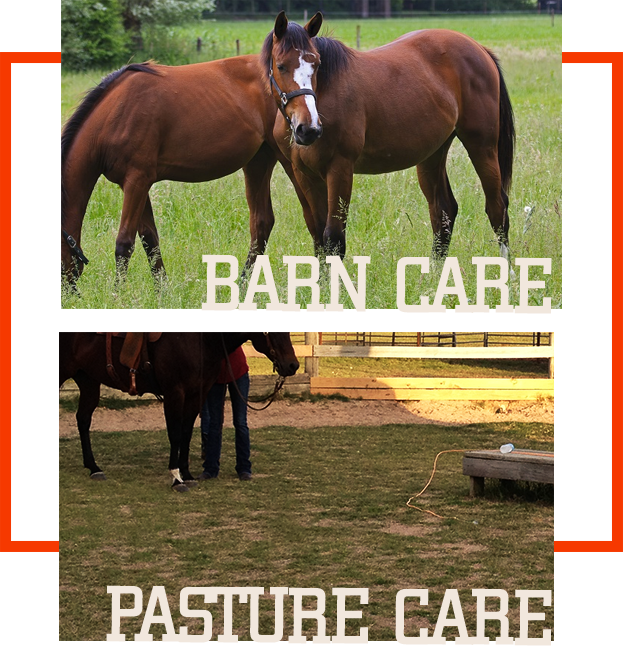 The horses under "barn care" (vs. pasture care) are groomed and fly sprayed daily and bathed when needed. When the days are very hot, barn care horses are brought into the stalls where the temp is normally 10-20 degrees cooler than outside. In cold weather, we have tank warmers to keep water from freezing. We handle the horse blankets if the horses require them. ‍Stalls are 12' x 12' or 12' x 24' in size, with thick pine shavings used for bedding. Each stall is equipped with an automatic waterer; waterers are cleaned daily. Some stalls have 36' x 36' corrals attached to them. Our 10-stall barn is open to the south and closed to the north, though there is an alley and door on the north side to provide a cool cross breeze in the summer. Each stall is equipped with a metal fan for summer ventilation and heat lamps for the few very cold winter days we have in Austin. We take pride in giving attentive, loving care to every horse on our property. We take pride in giving attentive, loving care to every horse on our property. Our boarders have given us great feedback and tend to remain with us for many years. We are knowledgeable and open-minded, and are happy to help our boarders make informed decisions about their horse's care. We treat the boarders' horses as well as any of our own. We respect others in the ways they train and medicate their horses. 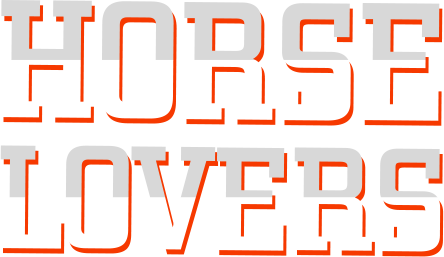 We don't intervene unless it may cause an unsafe situation or harm to any person or horse. Barn Care provides indoor sleeping on a bed of deep shavings and daily turnout for grazing and socializing. Pasture Care allows the horse to roam free and graze and eat roundbale hay and go into a roomy shed cover in inclement weather.